Lord of the Rings TV Show Will Follow Young Aragorn? It looks like we may know what Amazon's Lord of the Rings TV series is going to focus on. The company recently made a massive deal for a series that will take place in the world created by J.R.R. Tolkien, which won't just be a retelling of the events seen in Peter Jackson's movies. 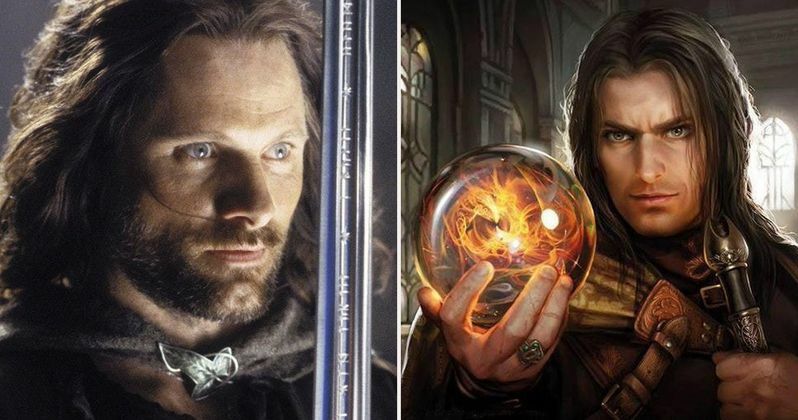 That has raised questions about what we're actually going to see, but now a new rumor suggests that the show will set its sights on a young version of Aragorn. We must caution that this can only be regarded as rumor for now, but the news comes to us from fan site TheOneRing.net who have proven themselves to be reliable in the past when it comes to knowing what's up with Tolkien happenings. That said, in a recent post to their Twitter account, they claim to have obtained confirmation from multiple, unnamed sources that Amazon will at least center the first season of their Lord of the Rings show on Aragorn. Here's what they had to say about it. We previously reported that Amazon has committed to a five-season deal for the series, as well as a possible spin-off, which is why this could end up costing them $1 billion when all is said and done. This report carefully notes that this is for the first season. So we're not necessarily going to follow Aragorn for all five seasons. With that in mind, it's conceivable that Amazon is looking to explore different corners of Middle-earth, possibly utilizing an anthology format for each season. Viggo Mortensen famously played the role of Aragorn in Peter Jackson's movies. Though the main characters were Frodo and Sam, Aragorn had a huge and very important arc, but there is a lot of backstory there to potentially explore. That makes this rumored storyline a seemingly great place to start. It also could make use of story found in the Appendices for J.J.R. Tolkien's main Lord of the Rings books. The Appendices contain a wealth of information that wasn't really explored in the movies and could be mined by Amazon for the series. Official details are still preciously scarce in regards to the show, so right now rumors such as this are really all we have to go on. It's unclear at the present time if Peter Jackson will be involved or not. He's reportedly weighing the possibility of directing an unknown DC movie or returning to the land of Middle-earth as a producer on this series. One thing is for sure; if this rumor is true, they're going to have an unenviable task when it comes to casting the role of Aragon, as Viggo Mortensen is going to be a tough act to follow. This news comes to us courtesy of TheOneRing.net.